I saw that people have discussed Bosnians. So I will provide the link to a good site with photos of the Bosnian infantry during WW1. Mihovil Vujicic look like some Russian Baltids. "Bosnian" is a geographic designation, not an ethnic one. There is no Bosnian race/ethnicity. 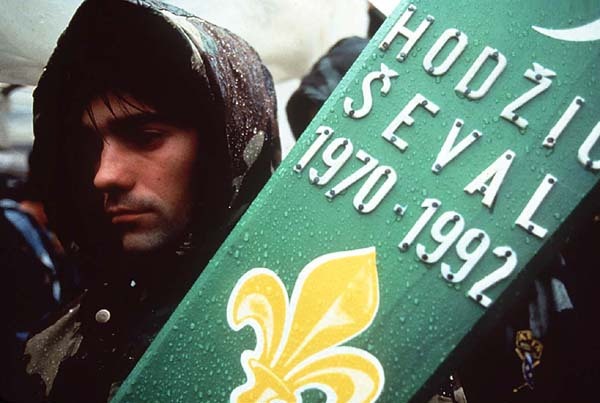 Bosnians are Serbs who live in Bosnia. Well Providenje. I did not make this thread because I am surprised. I have seen many Bosnians. The majority are blondish, and actually more East-Baltid than Pontid. Some even look Aistin/Baltid/West-Baltid etc. I think that Dinarids are less common among Bosnians. Ok, let's say in that region. It is just for those whom might have not seen so many Bosnians. Besides, why not discuss which type the men on that site are? How do you define Slavic? The Balkan people have got influences from other tribes as well. Is it a way of thinking (mentality), culture and heritage, language, a philosophy which unite all Slavic people? Or is it racial? Greek geographers wrote of the Iranic tribes Serboi and Khorvatae (Croats). The Serboi dwelled in Sarmatia. So original Serbs were overlords of Slavs. Serbians should have similar racial types as the people of Northern Caucasus. Or between the Black Sea and Sea of Azov (Azovskoye More). Hey Volksdeutsche! Interesting stuff! I wrote a big post about Iranian origins in the Slavic Vortex, can you please read it, and give me more links and your opinions about that subject. Well volksdeutsche,I have probably seen more Bosnians than you. Where did "Dinarids" originate then? Last time I checked the Dinaric Alps forms a natural border between coastal Croatia and Bosnia. There is no significant difference between Serbs, Croats and Muslims, sub racially that is. We all come from the same 'tribe', whether some people like it or not. In Ex-Yugoslavia people migrated to different parts of the country. There are still Croats and Slovenes living in my hometown and nobody bothers them. How do you define Slavic? The Balkan people have got influences from other tribes as well. Is it a way of thinking (mentality), culture and heritage, language, a philosophy which unite all Slavic people? I can't speak for everyone who is of Slavic descent.You seem to already know the answer. Although, there are many cultural differences in Serbia, let alone in the rest of the Balkans. Most likely, yes. There are also many placenames in Czech Rep. that correspond with ones in Serbia. Just ask Borivoj. And the original Bulgars were overlords of the Slavs as well and so on. We are who we are today. Last edited by Vojvoda; Monday, October 13th, 2003 at 10:12 PM. I think it's a myth that they are more racially 'Turkicized' than other people in the region. Some Bosnians went to my school and they didn't look different from the other South Slavs. Albanians are tending to look darker, but I think we're getting a lot of gypsies in here now. Stormfront considers Bosnian and Albanian muslims nonwhite, as far as I know. These Stormfronters are probably more non-white than these Bosnians/Albanians they deride... very funny actually. What is humorous to me are the 'pan-aryanists' (like diabloblanco) who say about Afghans and such "a lot of them have light hair and eyes" in order to claim such people are 'Aryan' (which to them means "white"). But when someone shows a preference for Europeans with light pigmentation they get all offended. i HAVE BEEN at SF.. any many others here... what many mean with non white ( wich is idiotic ) is that Albanians and some Bosnians are Muslim and therefor a threat to western society, wich makes sence...they are off course white Europeans who converted to Islam anyway.. i know that many nationalist rallies have been aranged thorugh SF wich have led to the get together of patriots from many European countries.. what more could we wish for in these dreadful times? Last edited by goidelicwarrior; Tuesday, October 14th, 2003 at 09:59 AM.